Publisher is one of the most complete WordPress app themes on the market today. With it you can not only showcase your eBooks and other digital products, but also sell them. 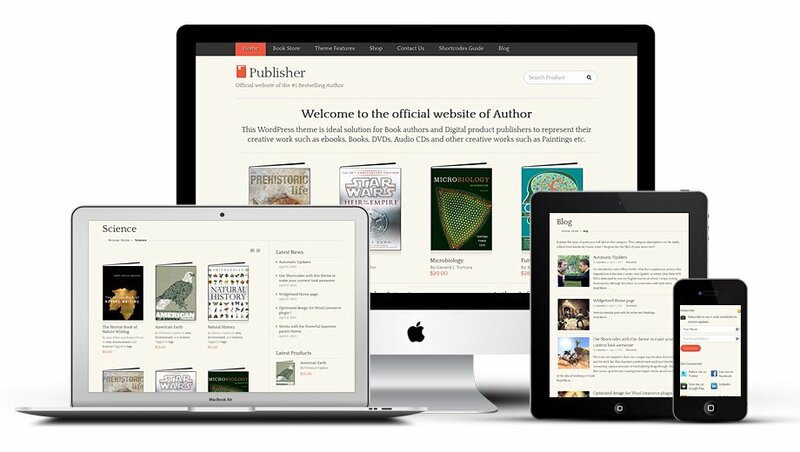 The Publisher WordPress theme is ideal for authors, book writers and publishers. Powered by Templatic Digital Downloads and Tevolution plugins which are included, this publisher website templates makes promoting and selling books and eBooks online very simple. This is a thoughtfully designed theme, with abundant customization options. So with them, you can make your author’s official website look and work exactly the way you want. You can sell digital products on your digital publishing website. You can do it using the built-in selling system (powered by the Digital Downloads plugin). You can even setup an eJunkie cart or just link to Amazon. This theme is all you need to start selling online. 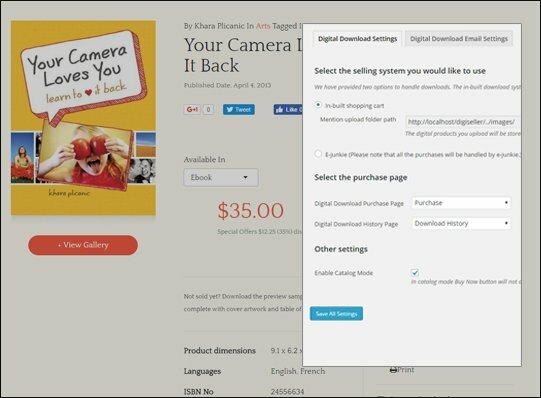 Use the free WooCommerce plugin to sell books or any physical products. Shipping, tax, variations are just some of the features which you can use with Publisher. 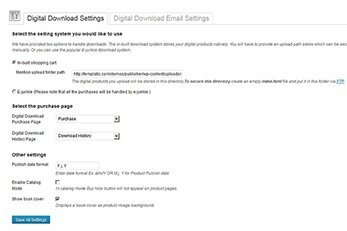 WooCommerce can be used instead of the theme’s Digital Downloads plugin. 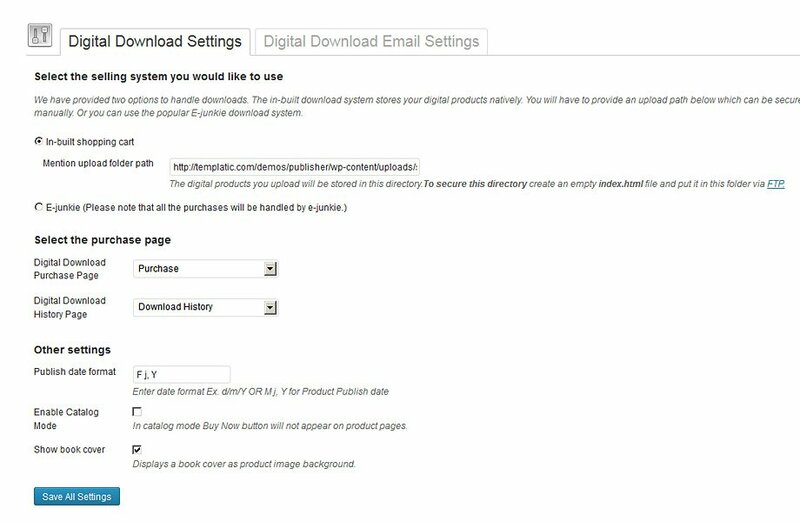 Included with Publisher WordPress theme, the Templatic Digital Downloads plugin is also available as a standalone plugin! 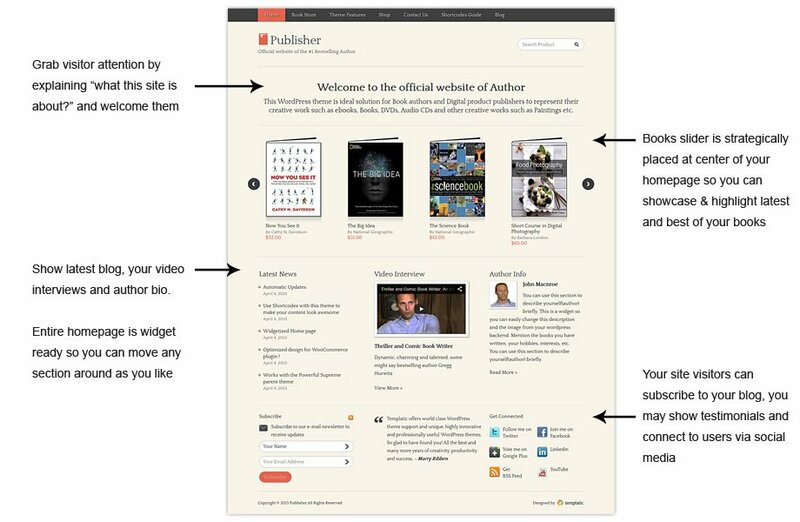 The Publisher theme’s homepage is composed with a number of widgets. You can swap elements around to match the requirements for your online store. Sell eBooks, books or any other products. 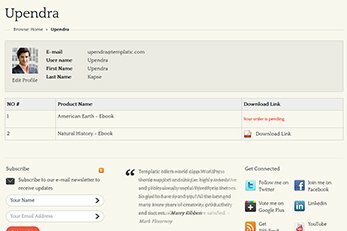 Use the Publisher back-end to create a unique registration page for your book launch website. Just add the fields you want the visitors to fill out; no unnecessary stuff. Allow visitors to comment and review products displayed on your site. To make sure there is no foul play each review/comment can be moderated before it’s published on the site. You can use the WPML plugin to launch a multilingual website. This is a great plugin will allow your visitors to choose different languages to view your site. Publisher allows you to quickly change the color of your buttons or body background. 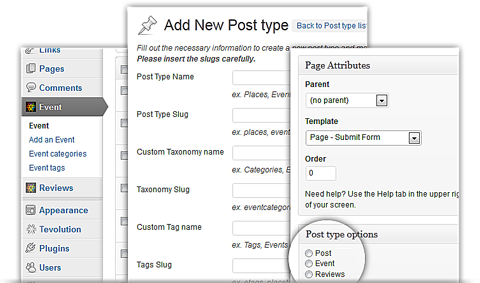 Using the WordPress Customizer these changes can be made in seconds and in real-time. This is a theme for book writers, authors, publishers so it wouldn’t be complete without its blog. Publisher includes a blog which you can use just as with any other WordPress themes. 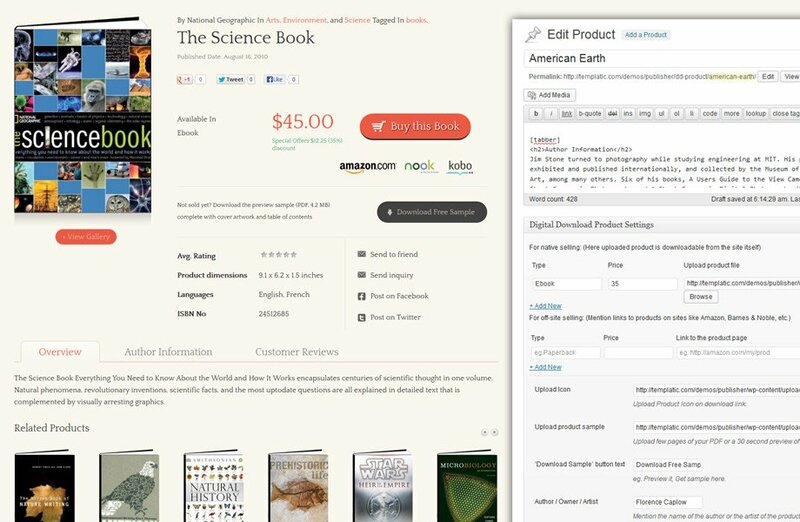 You can use the included coupon module in this website template for authors to offer discounts. So sell eBooks or products at discount. Discounts can be fixed-amount based or percentage based. 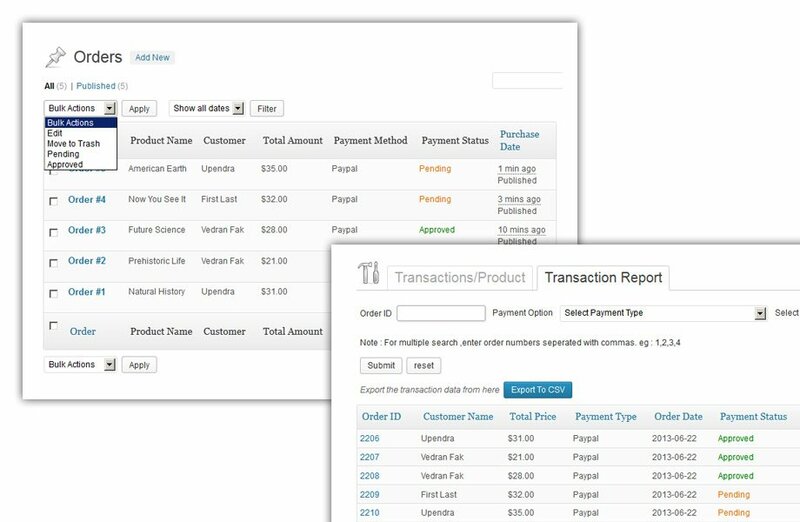 This theme allows extensive back-end section for order management and reporting . It will allow you to easily identify best selling products; as well as those that aren’t doing well. The ability to create your own post type extends the functionality well beyond a regular web store. For instance, create a post type called “Events” and showcase events worth visiting in your city. Cool thing about this feature is that you also create the categories. Once you’re done creating the post type, start working on a submission form. By creating a submission form you can allow visitors to submit events on your site. You can even charge for those submissions! This book author portfolio website template is designed to let you create elegant looking websites in minutes. Publisher have modern homepage with a beautiful slider. This slider can also be used to show products category wise. This WordPress themes for book authors can also be used as an ebook selling script to display and sell ebooks online. Publisher comes with our very own Digital Downloads plugin. It lets you sell digital goods straight off your site. It’s a plugin that will enable cool product-selling features on your site. This popular WordPress theme for authors/writers comes with a user installation guide. Furthermore, help is always at hand. By purchasing this WordPress author theme for online publishing you will access to our support team’s help. Our team is always happy to be of assistance while you setup your author’s portfolio website. Use the Publisher’s back-end to manage all outgoing emails sent to your visitors. Already have some content in .csv format? You can add it to Publisher within minutes. Publisher isn’t limited to a preset selection of currencies. Add your own currency code, symbol and position. Create complex multi-level menu items. Hover over the “Shop” item for a demonstration. Use the catalog mode to just promote your book or products; the buy button will be hidden. Use pre-existing shortcodes to style your text, add boxes, callouts and more. The days of struggling with theme files are over. 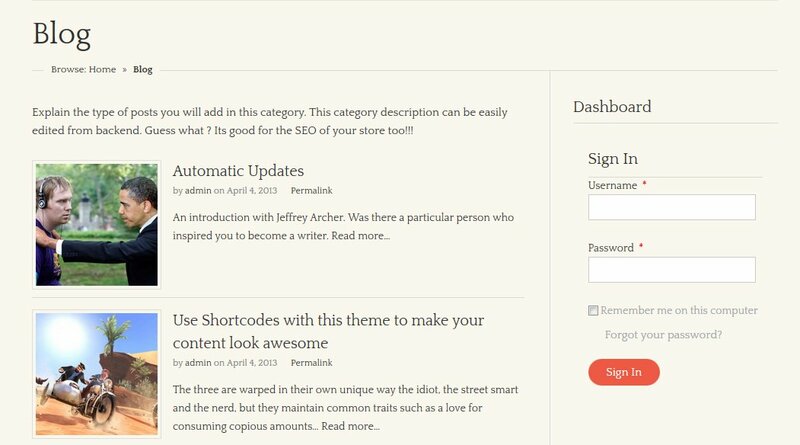 This feature will allow you to update the theme right from the WordPress dashboard, much like you would update a plugin. Display unique content with widgets such as: Facebook Fans, Twitter Feed, Testimonials, Browse by Categories, Contact Us, Recent Review, Social Media and more. Is Publisher available as a HTML template? Yes, it is. Bulk upload, export and update are available. Yes, it does. All Templatic themes work great on MultiSite, including Publisher. Which WordPress versions does Publisher support? Publisher will always be compatible with the latest version of WordPress. 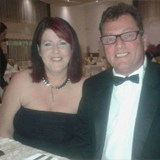 So, when in doubt – update. Publisher (more specifically, Tevolution) comes with two payment options included: PayPal and PreBank Transfer. Numerous other payment gateways are available as optional (paid) extras. For a full list click here. Is the theme available in other languages? No, the theme is only provided in English. However, it does come with a language file which will allow you to translate it to your own language. 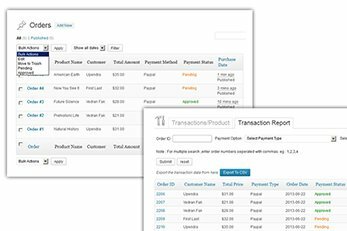 Can I use the built-in shopping functionality to sell physical products? No, you cannot. The built-in shopping features are for digital products on. However, you can use WooCommerce to sell physical products. Is registration mandatory (in order to buy something)? Yes, it is, but only when using the built-in selling system (powered by Digital Downloads plugin). 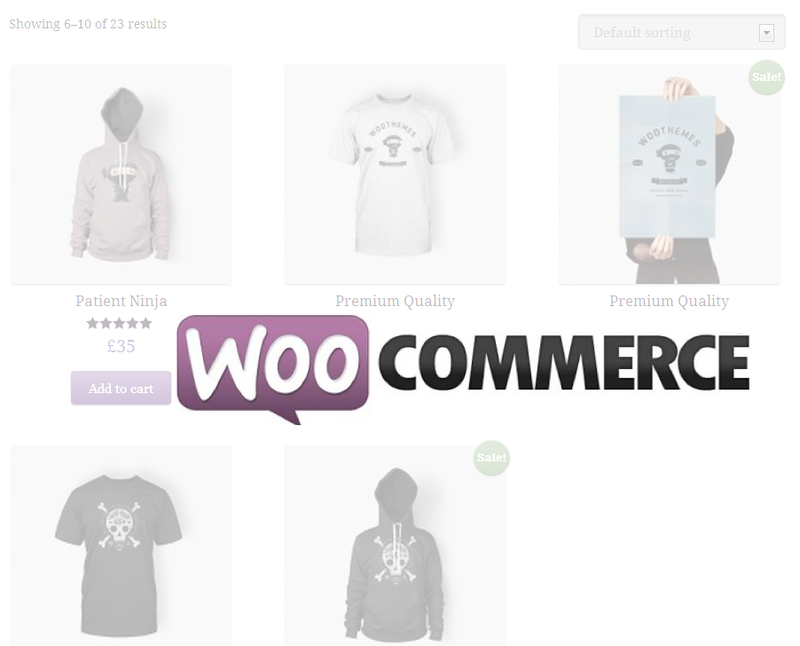 If you opt for using WooCommerce checking out as guest will be available. WooCommerce is a free e-commerce plugin that will allow you to sell products with the Publisher theme. You can use this publisher website script to sell stuffs online. Can I use this WordPress theme for Writers for my content marketing projects? Yes, the publisher theme works great as a content publishing platform. So if you are into SEO content writing, you can use this WordPress theme. It has elegant typography and appealing features for the purpose. Can I sell my book through the Publisher WordPress theme? You can use the Publisher theme as a WordPress themes for selling books. 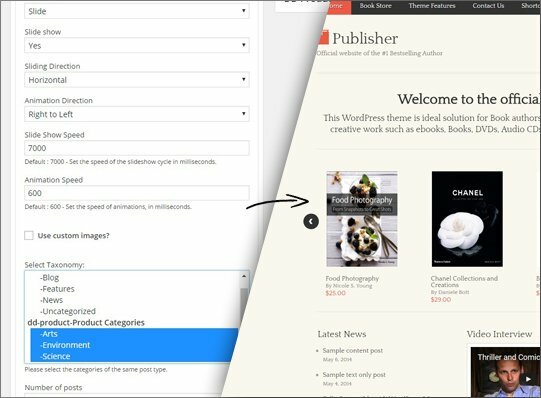 You can integrate WooCommerce and sell your hardcover book. While you can use the digital downloads plugin to sell ebooks. So, you can sell both, the hard copy as well as the soft copy of your book without any extra expense. 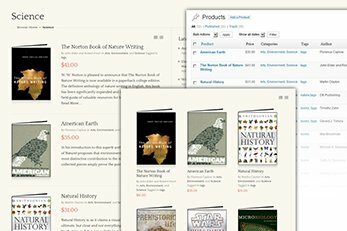 What kind of websites can I create with the Publisher Author theme? The Publisher is a Multipurpose Author WordPress template for writers, freelancers, authors, content writers, and bloggers. You can create any kind of websites like author portfolios, ebook selling websites, online bookstore, or a promotional website for your new book. I want to create a website to promote my upcoming book. Can I use the Author theme? If you are wondering whether you can use the publisher theme for just one book, you can. You can have a look at MyBook theme designed to create a promotional website for a single book. Where can I host the publisher theme? The Publisher WordPress theme is lightweight and performance optimized. You can choose the host for your website based on your requirements. We recommend Bluehost for hosting your WordPress author website. Want to create an author’s official website, or an online Bookstore with WordPress? Look no further than the Publisher WordPress theme for Writers and Authors. Publisher WordPress theme for the author, can be used to create a simple author/writer’s online portfolio, or a book selling website. 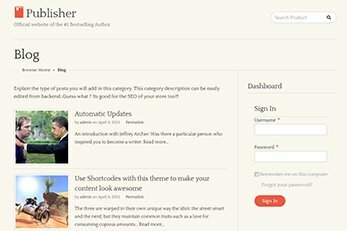 This theme is basically for writers, authors and publishers who want readers. Write your stories, blog about your experiences and sell your books online. With the inbuilt Digital Downloads plugin, you can sell ebooks on your Author website. The publisher theme comes with the feature to display an excellent library of books. If you are an author who has penned more than more books, then the Author WordPress theme is ideal for you to create your website. The publisher book author theme is easy to use: Hasslefree setup and maintenance. With all the intuitive options you can customize your author website as much as required. Creating your own website now needs zero technical skills and a few minutes. No need to hire experts and pay them again and again when you want modifications in your website. 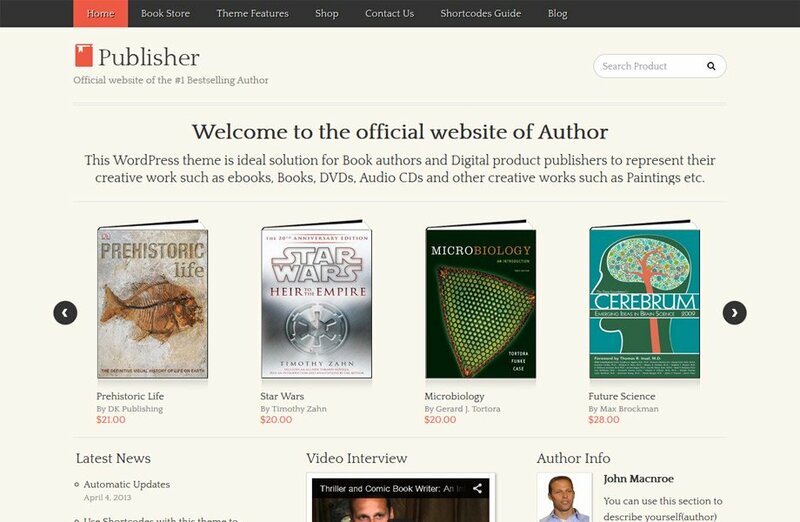 Get this Publisher WP theme for book authors and get started now. Hundreds of hours of team effort went into design and development of this Publisher's website script. Get hold of this WordPress author theme at a fraction of the price which it actually cost to develop and start your business website today.